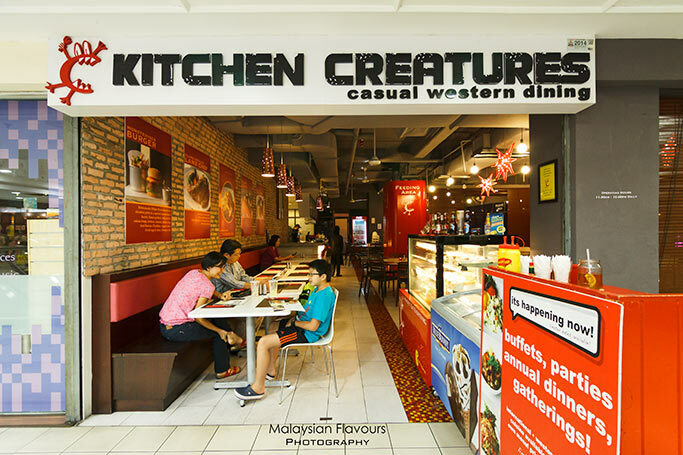 We visited Kitchen Crestures at Centrepoint Bandar Utama few years back, and glad that when we re-visit again last Friday, everything is still good, or to say, has improved much. Sampled few appetizers and mains, all decent and we love the Snickers Ice Cream Bar which you can hardly get in hypermarkets. 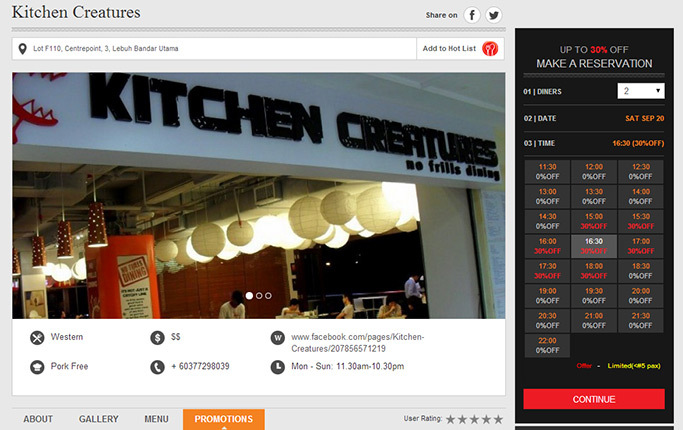 In case you are not familiar with the maill, Kitchen Creatures is facing the main road, opened air parking lots. 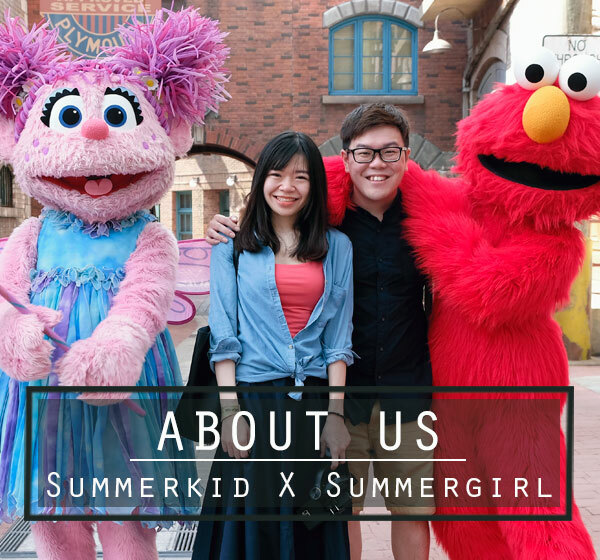 It is near to the entrance near Secret Recipe, one floor above Chatime and Guardian pharmacy, opposite to Yamamomo Japanese restaurant at 1st floor. Spiced-up tortilla corn chips baked with cheddar, Montery Jack, Asadero & Quesso Quasadilla Cheese, flavoured with sour cream, homemade guacamole cream and salsa sauce. Addictive munch of crispy, creamy, and cheesy goodness. 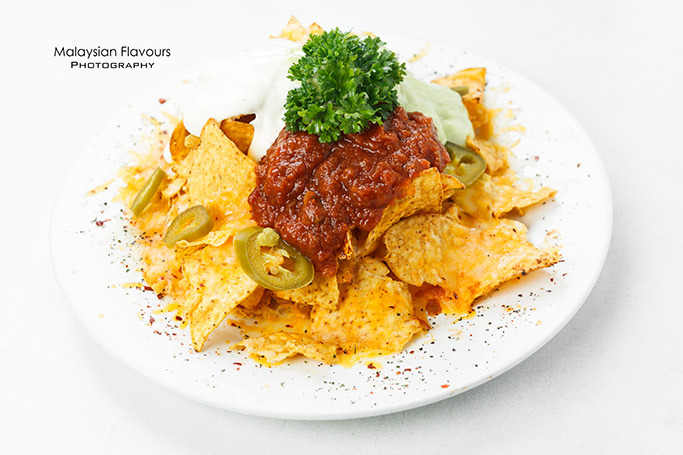 Share this huge plate of nachos with your friends! 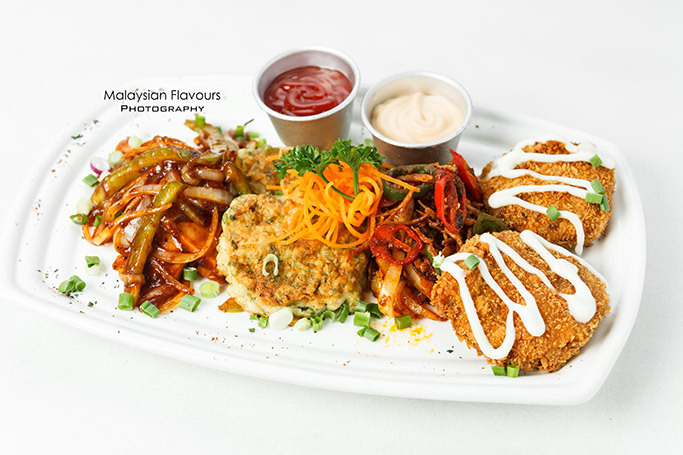 We enjoy this tapas platter laden with Asian twist, combining cilantro prawn fritters, minced breaded chicken patties, chicken sausage sauteed with smoky hickory BBQ sauce and spicy curry anchovies with fresh chillies. Served with spicy chilli and tangy sauce. Tried out Spicy Spaghetti Aglio Olio recommended by Kitchen Creatures. Al-dente spaghetti sauteed in olive oil, garlic and chilli flakes, delivering spicy and for garlicky kick. 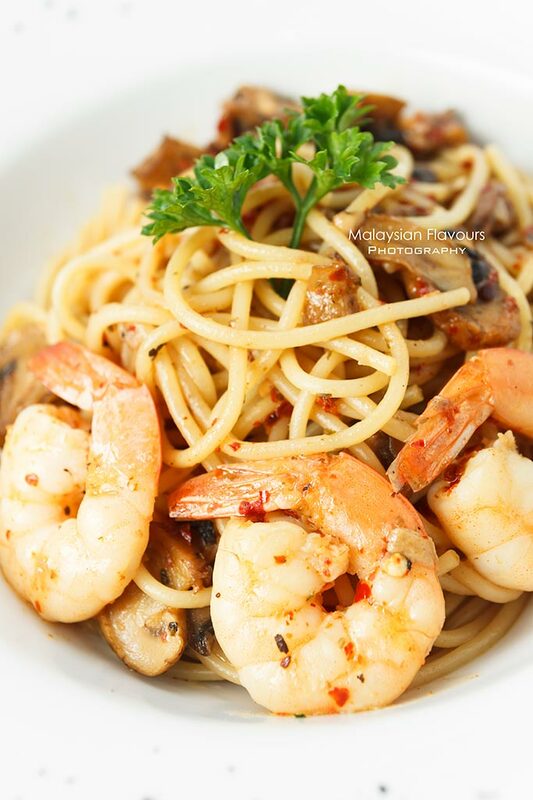 You can also opt for mixed seafood (RM22.80), bacon (RM17.80), Chicken (RM16.80) or just the classic, basic aglio olio (RM9.80) which we find equally good without any toppings. 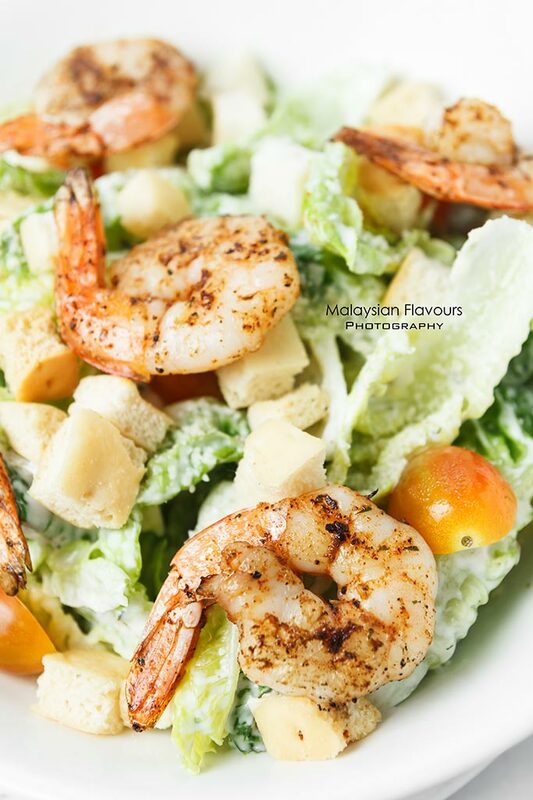 Crowd pleasing dish, value for price too. 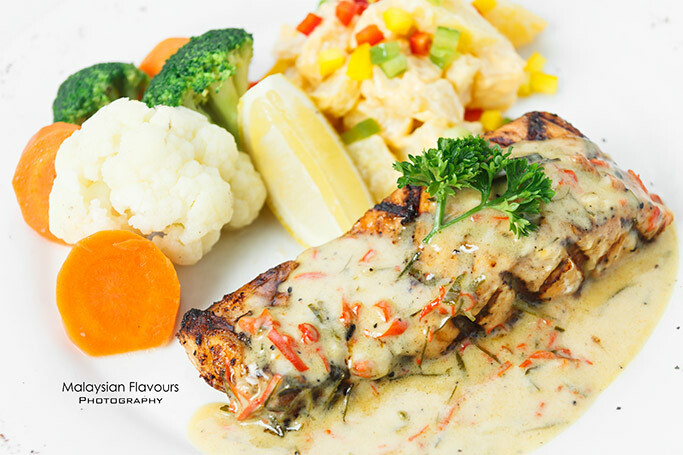 For just RM23.80, Kitchen Creatures serves you hearty portion of crisp at the edge, flaky soft inside grilled salmon fillet, flavour heighten with note-worthy, aromatic kaffir lime leaf cream sauce and side of the day. 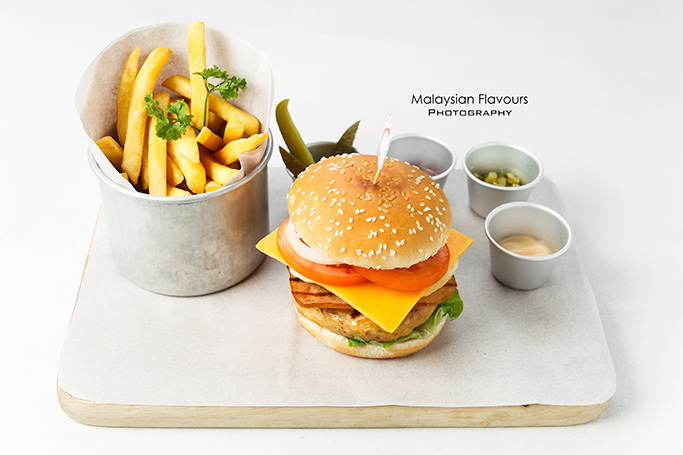 A burger that lives up to its name- So huge that you need a monster tummy to fit everything in. 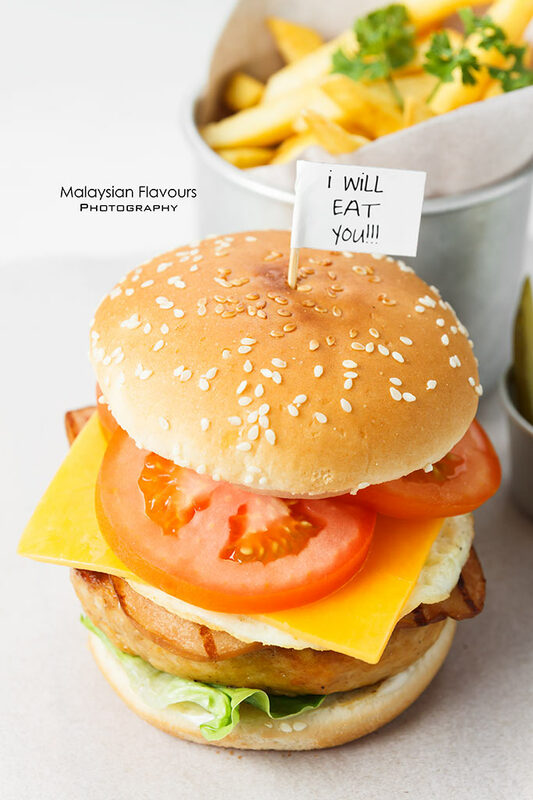 This giant burger sandwiches 200gm extra thick, homemade flame grilled chicken patty marinated in special herbs, cheddar cheese, turkey ham, pickles and onions within two toasted buns! Guilty pleasure. End the meal with some more than usual dessert! 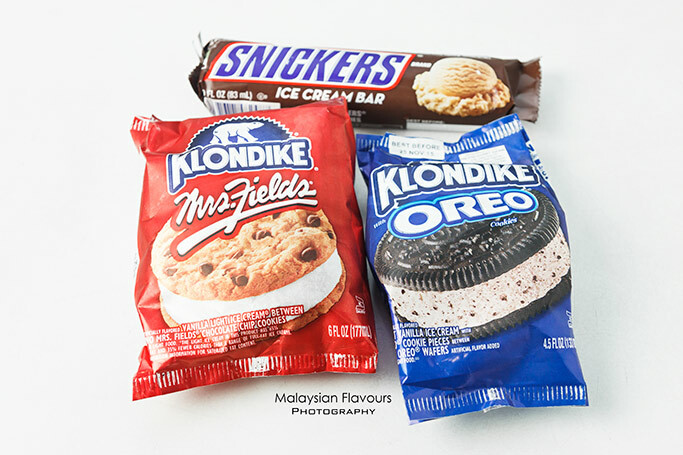 Summergirl loves all of them- Snickers ice cream bar- vanilla ice cream wrapped within sweet caramel sauce and chocolaty layer; Klondike Mr. Fields ice cream with light vanilla ice cream sandwiched within two chocolate chip cookies; Klondike Oreo Ice Cream and more to discover!